"The objective of MoC is to further promote cooperation amongst the BRICS revenue administrations in international forum on common areas of interest in tax matters and in the area of capacity building and knowledge sharing. It envisages regular interaction amongst the heads of Revenue administration of BRICS countries to continue discussion on common areas of interest and strive towards convergence of views and meeting of the experts on tax matters to discuss the contemporary issues in areas of international tax," said statement. In addition, the MoC accords confidentiality and protection to information exchanged under this MoC. 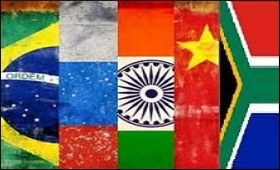 The Heads of Revenue of the BRICS countries have been meeting regularly to discuss the potential areas of cooperation in tax matters and to exchange opinions and views based on the existing commitment to openness, solidarity, equality, mutual understanding, inclusiveness and mutually beneficial cooperation, as stated in the Goa Declaration issued on October 16, 2016. The BRICS countries have identified four areas of mutual interest on which understanding and cooperation can be further strengthened.